My last post introduced the “off season” concept, where I made a case that anyone who gets paid for what they do (aka a “professional”) needs to occasionally go away and work on their work. In this post I share my own proven formula for making the most of this time away. I swear by the concept and what it has done for me personally, my businesses, and my family. Treat these ideas as guidelines only; you will find what works best when you get out there on your own. We need to have a purpose in mind for the off season before we go, otherwise we may squander the opportunity. If your purpose is to relax and re-energize, that’s great: enjoy your holiday. However, a true off season is meant to “sharpen the saw” in Covey terms. It’s real work, just of a different sort than usual. Don’t ruin your time away by using the peace and quiet to tackle your eternal to-do list(s). You would certainly check many items off your list, but you would get there eventually anyway. Instead, treat the off season as special, sacred time. This is not the time to be productive in the normal sense. It is time for getting perspective on your job, its direction, your relationship with it, and the people in it. In my experience the best off seasons have one or two primary goals from among a few core issues. What skills or tasks does my job honestly require of me that I don't feel comfortable with? Will I make do, improve, or negotiate away this expectation in exchange for something else? Which of my work relationships are chronically dysfunctional? What might I need to do differently to build or restore things? What behavior(s) by others am I currently living with that needs to stop? Am I generally happy at work? If so, am I acting like it? If not, am I facing the issues I have some personal control over? Who deserves my heartfelt appreciation that I've neglected to show? Is there anything I'm running from? A truth? A person? A decision? What are my honest personal priorities and am I living by them? Take today and project 5 years down the road: what has to end so that my future has a chance to unfold the way I'd like? If you’re anything like me, the answers to critically important questions can be elusive in the daily busyness of the business. It often takes considerable time for the mind and spirit to freely express themselves – and they don’t always agree! An off season may be the only time that you have the room to explore these matters fully. What a gift! 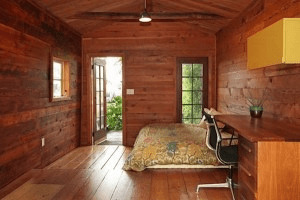 I recommend starting out small; perhaps a daylong retreat or a weekend. The huge payoff might not be there right away but you will get a very good taste for the process. Naturally the shorter the off season, the narrower your focus needs to be (for example, identify your single biggest pain or opportunity and wrestle it to the ground). I suggest a simple, natural setting whenever possible. 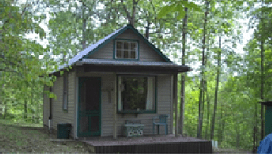 I've stayed in various places – from trailers to cabins. Having the ability to walk outdoors or sit by a campfire gives me a peace of mind to face the tough issues of the job and life. A beach, spa or golf resort is fine for a vacation, not an off season! Find the setting that feels like the most comfortable clothes you own. A special comment on personal safety: if you are uncomfortable with the idea of spending significant time alone in a remote place, then honor yourself and don’t do it. Just don’t sacrifice your off season! Instead, either find a friend to conduct their own off season nearby (limit your interactions), or set up camp in a place with more people (but keep them away). Since you are taking your job with you, it is vital to restrict the distractions to a bare minimum. Technology: some people go off-the-grid entirely but every day that gets harder to accomplish on this planet. If you own a smartphone and there’s a signal – you’re already in trouble. I suggest making exactly one brief phone call each day to your spouse or significant other, and eliminating email altogether. Stay off the web unless you are researching an issue. No live TV or media feeds. Things to leave at home: family members, pets, newspapers, alcohol. Your desk pile(s) into one big box, along with tablets, folders, pens, stapler, etc. Since you can’t work 24 hours straight: a book, some music, one or two DVD’s. The best off season is one that is not overly planned. Get up early every day and maybe go for a walk with a notepad in your back pocket. This is work decompression time. Stop working after your useful limit (mine is about 12 hours) and relax. Early on, attack the box of neglected stuff from your desk. Sort it, pitch the less important stuff, and prioritize what’s left. Decide what few things can only be handled when you are free from distraction: handle them, in the order of their importance, not their urgency. Write your one or two big questions/objectives (see above) on a sticky note. Keep this in front of you the whole time so that your mind is brought back to it often. When the Eureka! moments come, record your thoughts… but don’t force any solutions. Just let it come. Home/Personal items (the stuff you are avoiding due to focusing too much at work). That’s it. Anything else I would tell you at this point might limit rather than expand your off season experience. Now, scale this framework to fit your timetable and just go away. When you get back, please drop me a line and share your experience! In search of a helpful tool to help you prioritize while on your off season? 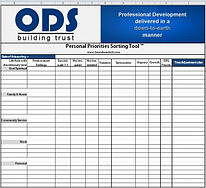 Check out the ODS Personal Priorities Sorting Tool to help give you the confidence you need not only to set personal priorities, but then to use them to set time boundaries and constructive goals.